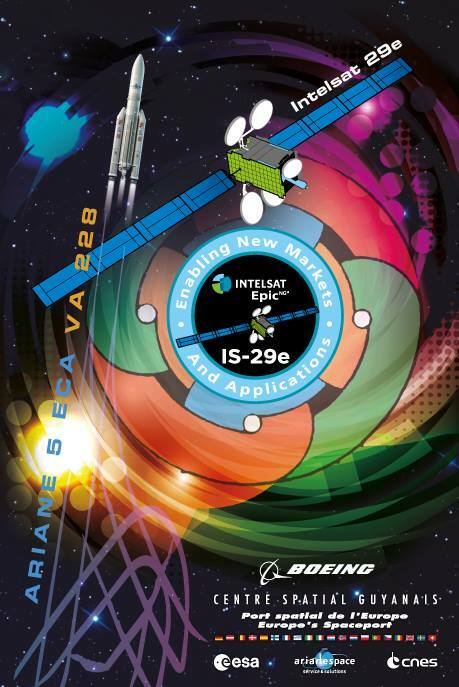 Intelsat-29e is a high-throughput communications satellite manufactured by Boeing Space Systems for operation by Intelsat, Luxembourg. 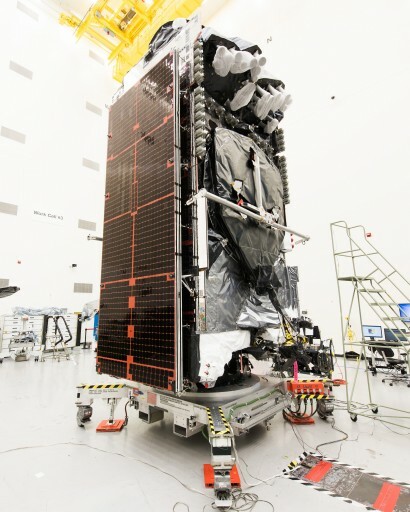 The satellite, designed with high service flexibility as a primary driver, combines high-throughout spot beams in the Americas to deliver telecommunications and enterprise connectivity, plus wide-beam coverage of the Atlantic Ocean and the Caribbean for airborne and maritime communications services. The satellite, to be stationed at 50 degrees West in Geostationary Orbit, will also provide a transatlantic Ku-wide beam overlay for in-flight entertainment. A wide C-Band coverage beam enables full South American coverage for media distribution services. 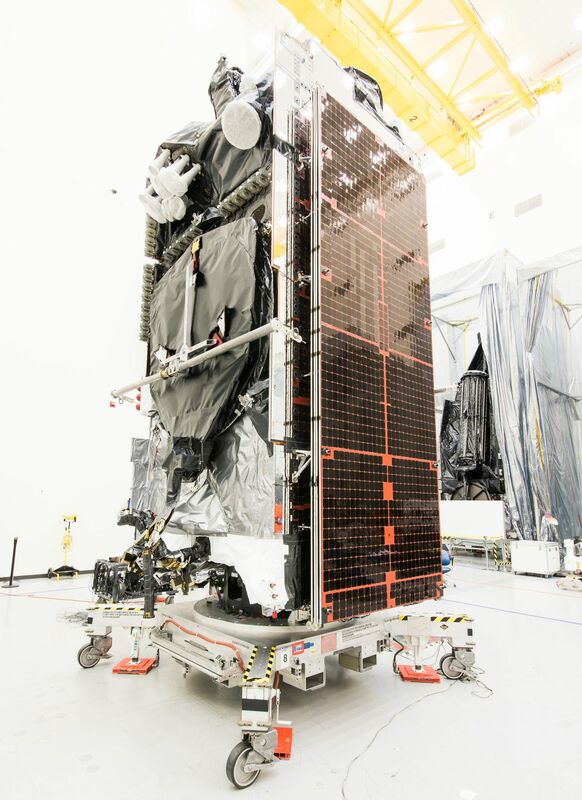 Intelsat-29e is outfitted with a powerful communications payload of 12 C-Band transponders and 46 Ku-Band transponders plus one Ka-Band transponder for global coverage, creating a total Ku downlink of 9,395 MHz. 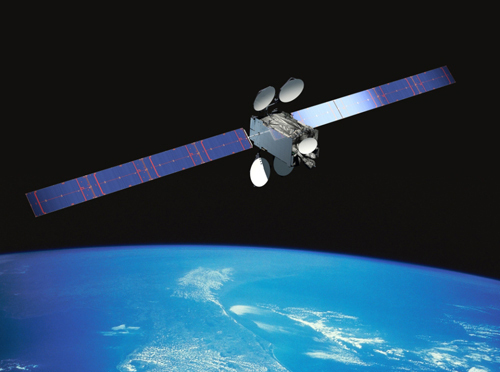 The satellite will support a total throughput of 25 to 30 Gigabits per second for fixed and mobile customers. The C-Band payload covers the entire South American continent consisting of 24 36MHz-equivalent transponders operating in horizontal or vertical polarization. The 450MHz Ka-Band system delivers a global coverage zone extending from the west coast of the United States all the way to Eastern Europe & Africa. Ku-Band coverage is provided to the entire American Continent using a grid of high-power spotbeams that also extends across the Atlantic Ocean and western & central Europe to satisfy demands for carrier-grade telecommunications and enterprise connectivity. A wide Ku-zone covers the entire United States, a large portion of Canada, the entire north-Atlantic flight corridor and a large portion of Europe for the distribution of in-flight entertainment services. 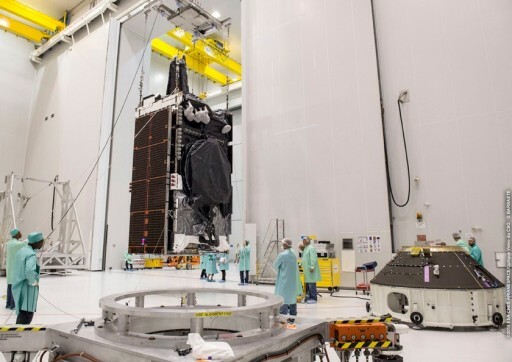 The Intelsat-29e satellite, part of the company’s Epic system, has a dry mass of 2,950 Kilograms and weighs around 6,500kg at liftoff, based on Boeings BSS-702 MP configuration, the medium power version of the 702 satellite platform. The satellite minimizes the larger 702HP satellite bus, suitable for communications payloads requiring 6 to 12kW of power. The satellite is equipped with a 490-Newton bipropellant apogee motor for the climb into Geostationary Orbit. In addition, the satellite uses four axial 22-Newton Thrusters and four radial 10-Newton thrusters for smaller orbit adjustments, drifting in Geostationary Orbit and attitude maneuvers. BSS-702 can also support electrical propulsion systems. 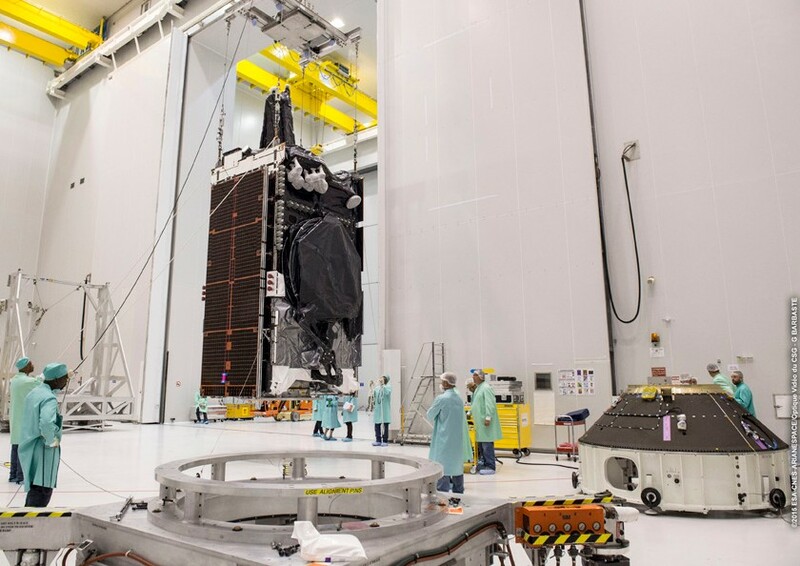 Intelsat-29e is making a rare single-payload launch atop an Ariane 5 ECA rocket, normally used to deliver a pair of satellites to Geostationary Transfer orbit, one in the 6,000kg range and a smaller payload in the 3,000kg weight class. Because of a lack of smaller passengers, Intelsat-29e was faced with a lengthy wait for a co-passenger to be ready and Intelsat decided to foot the bill for an entire Ariane 5 rocket, foregoing the wait period and becoming the first Ariane 5 mission of the year. 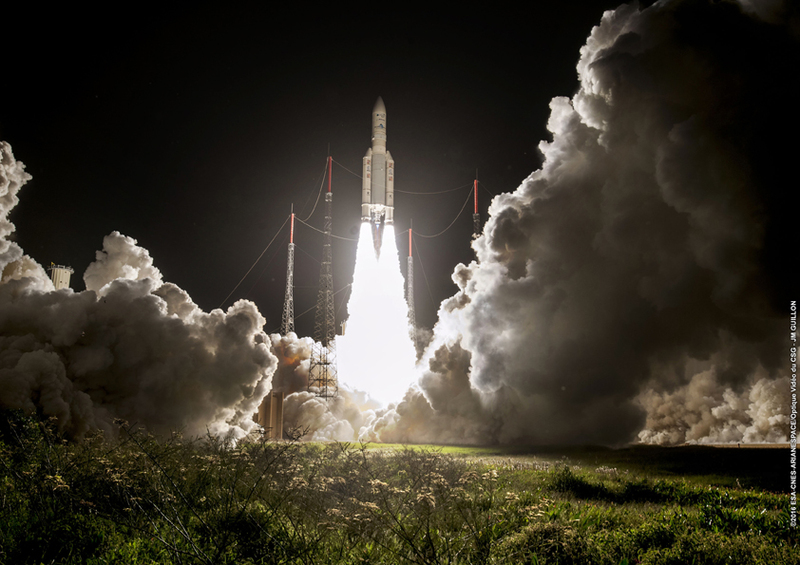 2016 will see at least two single-payload missions of the European workhorse rocket.